Your wedding day may include bold statements or subtle hints of floral design throughout the event. Whether you are looking to order thousands of flowers or just a bouquet, the team at San Antonio Flowers & More have you covered. When you call this company you will be treated to a wedding consultation. You will be able to work with an expert to describe what you want and then hear exactly what this local store can do for you. You can even discuss how to make the flowers more affordable too. Growing beautiful and healthy flowers, arranging them perfectly and coming up with flawless design combinations are all passions for the team at Seeds of Love. This company is known in the area for offering the latest in floral designs and trends as well as being able to customize arrangements too. 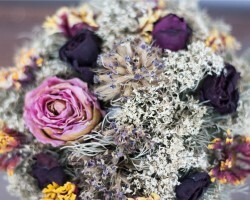 This combination of skill and passion make this one of the most popular stores for wedding flowers. 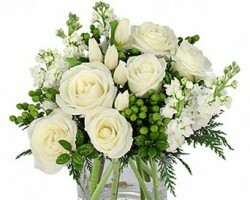 Couples can be sure their vision for the flowers on their wedding day will be perfect when produced by these experts. One of the most romantic ways you can decorate your wedding event is with flowers from A Dreamweaver Florist. This company is known throughout Texas as having the freshest flowers and some of the most talented floral designers for special occasions. If you would not only like to have flowers to decorate and wear, but would also like them to be flawlessly designed, then you need to work with these florists in San Antonio, TX. It is the only way to guarantee the look you want will be achieved. Angel Blooms Florist is a company that has spent the time and effort into finding the perfect flower combinations to create stunning arrangements to suit any color scheme. This is why they are so popular as a San Antonio florist. This is the company you can go to when you need to send flowers to a loved one or when you need to find the perfect centerpieces for the biggest day of your life. You will never be disappointed when you see the freshness of the flowers and the attention to detail. 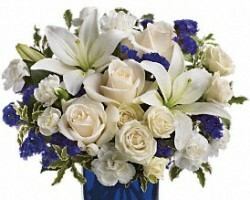 An Empty Vase offers everything from flower delivery in San Antonio to complete wedding floral design. If you are planning your big day and would like to include some fresh and fragrant flowers then you need to work with this team. They have experience arranging flowers for beautiful weddings. 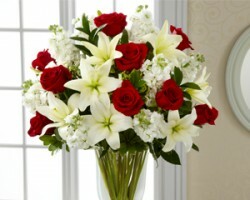 According to reviews, what makes this one of the best flower shops is the options that they provide. 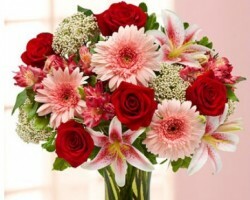 You can work with the designers to customize the flowers or choose from their stock arrangements.